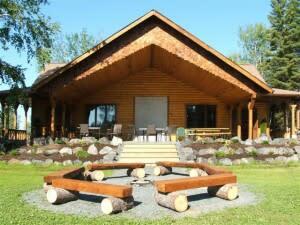 15 two-bedroom modern kitchenette cabins with showers, sleeps two to four persons. Conference centre with state of the art media equipment, liscensed dining hall & event tent, boat & motor rentals including pontoon boats, boat launching & docking for guests, tackle, bait, fishing licences. Guided day trips to remote lakes by float plane. 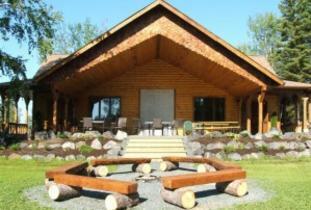 Guided fishing, scenic tours, snowmobiling, ice fishing, aurora borealis viewing, dog sledding, bombardier excursions. Fishing for walleye, northern pike, lake trout, burbot, perch, smallmouth bass and rainbow trout.